This Amish dining table gets its name from the popular Mennonite Jacob Martin. 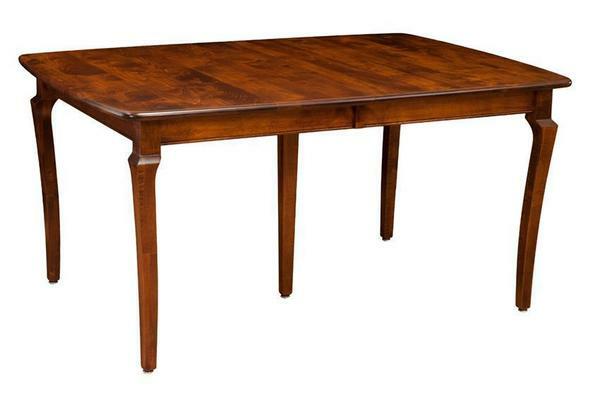 Pair this beautiful leg table with our matching Jacob Martin Dining Chairs. This table is shown in brown maple wood with our popular OCS-112 stain. The solid wood dining table comes standard with a boat shaped top and a round over edge. Increase Table Top Thickness to 1 1/4", 1 1/2" or 1 3/4"